Aquarium are the best decorative item for your home. Through aquarium you can feel the aquatic life at home. It’s a peaceful and fascinating way of bringing sea life into your home. Through my blog Aquarium? It’s Easy If You Do It Smart you can get your own aquarium by following each step.The 10 Aquarium Designs Examples for The Beginners is given here. In this different types of aquatic plants with shrubs and grass are there. One tree with fishes such as beta,discuss, and danio fishes are there. This gives the feel of nature, with one single tree and sideways rocks. Green grasses and small fishes in the surrounding. This is a small waterfall experience at home aquarium. With motors arranged water is flowing continuously from the rocks. Small trees were also adding the beuty of nature. This is like flaura and fauna of the environment inside the water or sea. Small rocks arranged in beautiful manner with small grasses and colored fishes all around. This is same version like above but with different look and fishes. Totally for those who loves colorful aquarium. In this different types of colorful plants with fishes are added with small white rocks and branches of tress. This is like bringing Island in your home and enjoying the peacefulness all around. 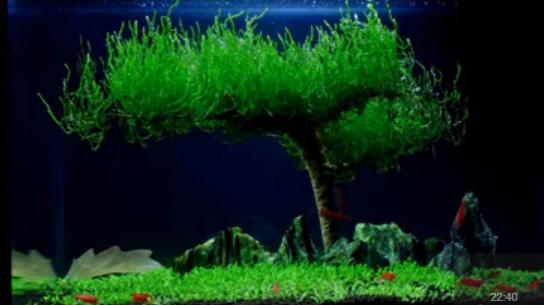 This is a example of artificial plants and branches of tree and some fishes real or artificial which is for those who don’t have time to maintain at regular interval. This is also different types of plants or cactus kind of things which looks beautiful. It adds the colors in aquatic life with beta fish,discuss, goldfishes and angle fishes. These are the 10 Aquarium Designs Examples for The Beginners. If you want more info please comment below.